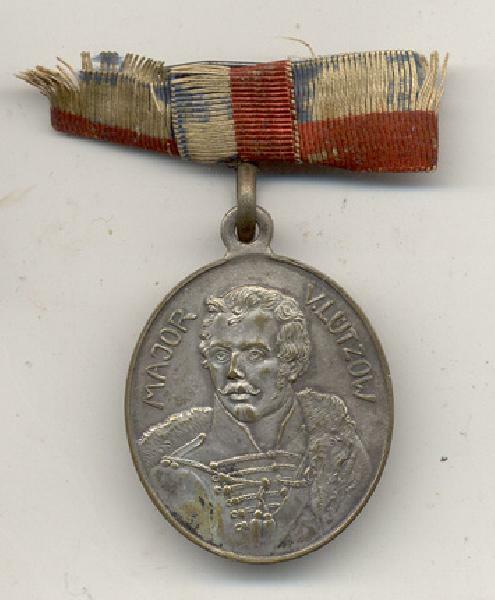 GERMAN 1813-1913 MAJOR V LUTZOW SILVER CENTENARY MEDAL. 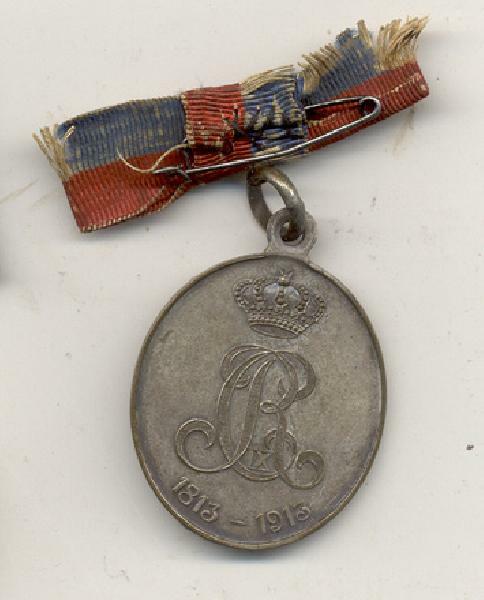 Blue & red striped bow style ribbon attached, but in poor condition Bronze medal with silver wash depicting Major von Lutzow on the obverse, and has a cypher with crown and 1813-1913 on the reverse. Suspension ring still present. Some of the silver wash has rubbed off. Nice medal.